We have an "X" icon that is closing the Lightbox. Alternatively, you can click anywhere outside of the Lightbox to close it. 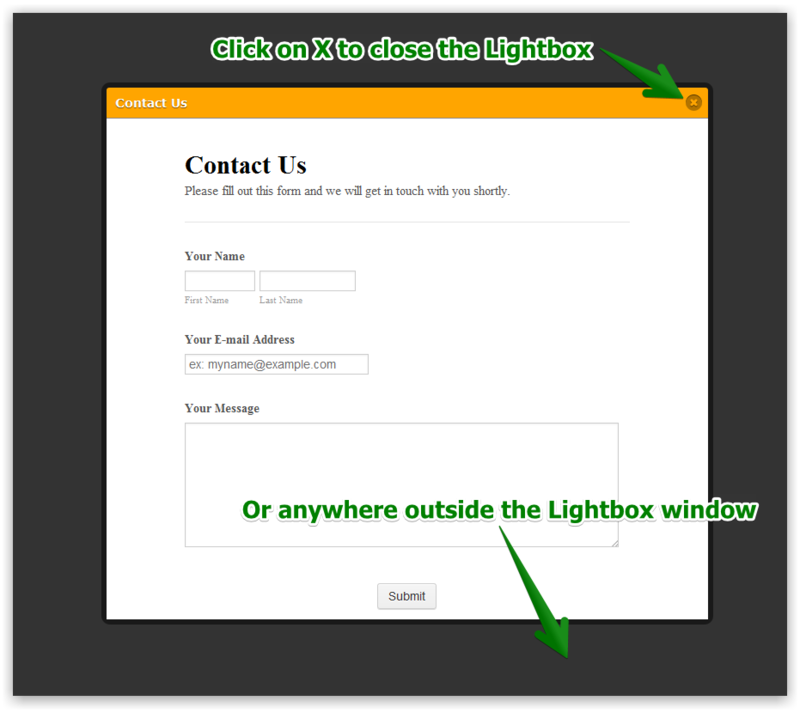 I do not think that we have a custom button/link that can close the Lightbox, but if you really need it we can forward a request to our Developers.